My son is starting to recognize people in photos and remembering the names of people in our family. 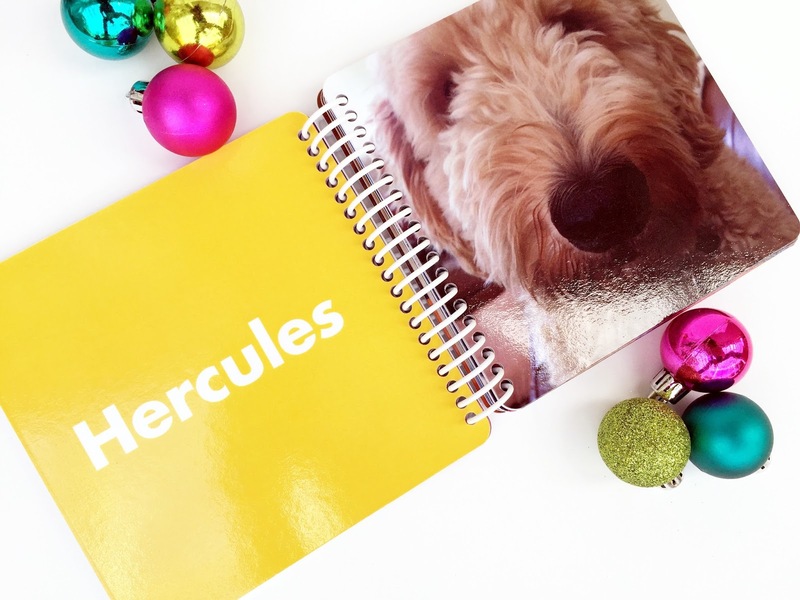 He knows me, daddy, and Hercules (aka Bubba), but I really want to practice all of our family members' names with him! 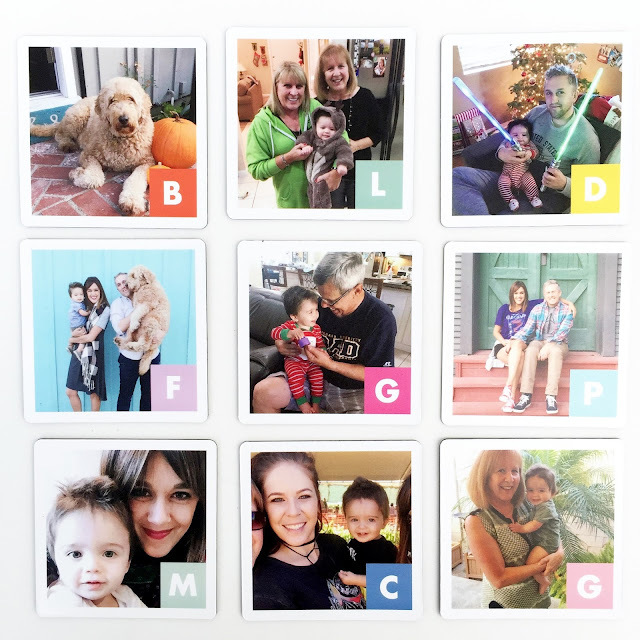 Harrison loves looking at the Christmas cards that come in the mail, and he lights up when he sees a familiar face, and now is the perfect time to start practicing those names! 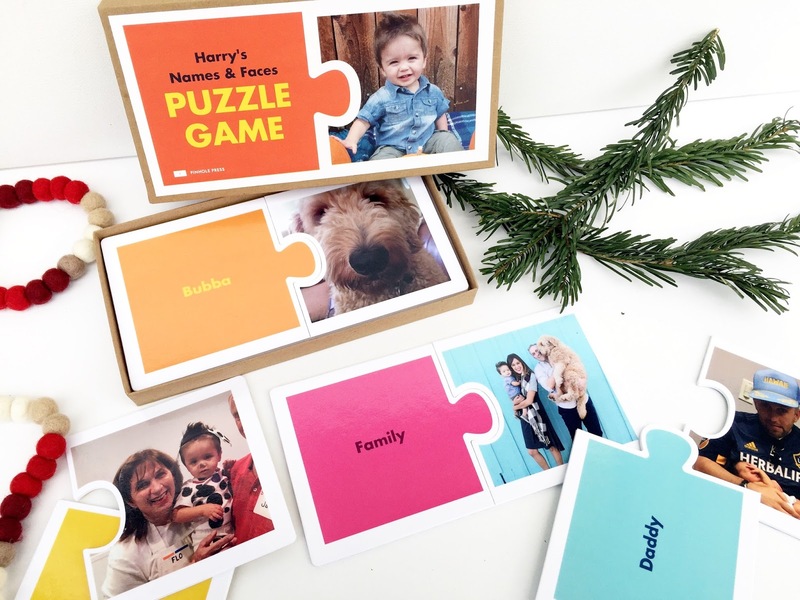 Pinhole Press offers personalized games, magnets, flashcards, puzzles, books, etc. and these will be under our Christmas tree this year! I had to get Harrison the Name and Faces Puzzle. Right now, he will just look at the pictures, but before I know it he will be able to match the word to the picture. The basic concept that a word carries meaning is a building block to learning to read. This is such a fun way to introduce those words! 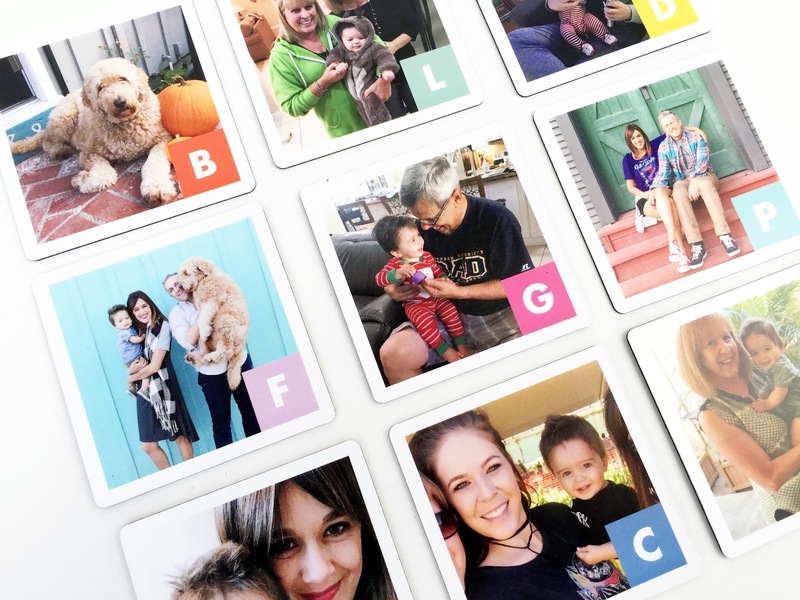 The Alphabet Magnets come with a letter in the corner, and you can personalize it with a picture. I decided to put family members on the pictures, but I also thought about taking pictures of some of his favorite things and putting those on the magnets as well (his blanket and light saber...lol). My favorite product Pinhole Press makes is the Custom Board Book. Harry loves looking at books and he is going to FREAK OUT when he sees all of his family in this book! My family hasn't seen this yet, so I am so excited for when he opens this Christmas morning! Pinhole Press sent me these items to review and feature on my blog and I really love their product and would recommend it if you have a little one at home that is ready to learn names and words! Head on over to see if there is anything you want to put on your Christmas list. Oh, I ordered them and within a week they were on my front door!!! nice family. have a great carrier ahead. Nice info also.